I must admit when I first read it, it didn't catch me. But the more I skim past the pages, it stands out and I begin to realize that even if it isn't the true secret, or the without-a-doubt pathway to happiness, I would like to think that approach to details in daily life is an excellent way to go about living and overall being happy with each passing day. 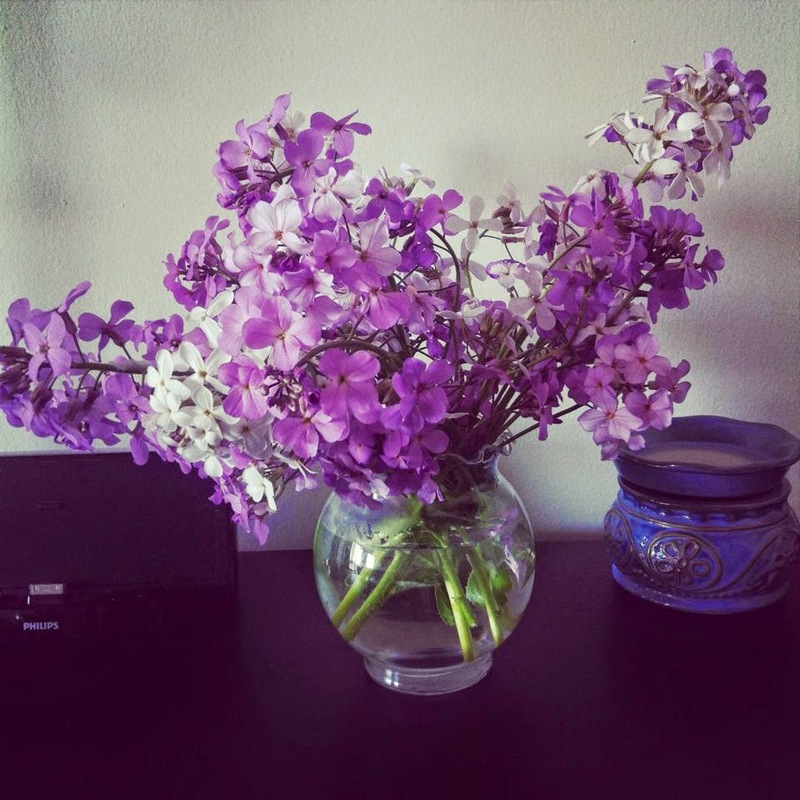 Wild flowers I picked on a walk the other day! I can also relate this to diabetes because it is so easy to get caught up in a routine with type one, because basically it is just a cycle. Although it throws curve balls at us, we know it's going to throw curve balls, so the thrill of those is almost routine like. However, being detail oriented when it comes to diabetes, I believe can change your mindset about what living with diabetes is about. I have tried very hard to put diabetes into a perspective that is much different from what a doctor sees. I get that I have to check my blood sugar at least four times a day to get a check from the endocrinologist approving me to continue with an insulin pump, I get that I need to give myself insulin before I begin my meal, but what we can do with type 1 diabetes is outstanding. If we pay attention to the details throughout our daily lives (which is 80% taking care of our diabetes and 90% trying to do other things with diabetes) than maybe, just maybe we can make peace with our diabetes. In saying this, I am not suggesting that we become obsessive over our diabetes, but simply pay attention to what we are doing. Don't rush through the process, do it with confidence and move on. Allow diabetes not to be a burden in your life (although on a practical side, it does take a lot of our time, money and tears) but fight past that mindset and allow it to be a part of your lifestyle. It's super easy to make diabetes enemy number one, but I believe that is a waste of energy and a source of unhappiness. So, overall, I am going to keep this quote in mind all day and attempt to focus on small details of daily life that maybe we miss because we are too busy. I am going to take the time to check my blood sugar when I should, actually look at food carb counts, pay attention to how I feel. Enjoy the sun and the heat, pay attention to those around me and what they need and enjoy the special bits of the day that often go without notice.